Which one do Ты like the most? Who is the prettiest? How do Ты like sheetas hair? Which colour do Ты prefer Howl's hair, in Howl's Moving Castle? judging by the studio ghibli films I seen & my opinion on them what studio ghibli film do Ты recommend the most for me to watch? I don't know if Ты have noticed but... does anyone know why studio Ghibli characters tend to fall down the stairs so often??? Have Ты ever read a book and wished Studio Ghibli would make it a film? Is grave of the fireflies sadder than le mis? 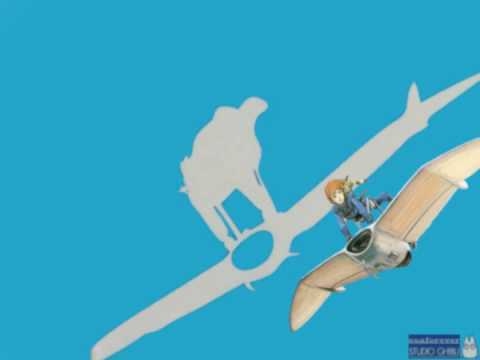 замок in the Sky is a Studio Ghibli film. It was directed by Hayo Miyazaki. This review is about wether или not the film is worth checking out. Sheeta is a young girl. She meets a young guy named Pazu. Pazu helps Sheeta, because Sheeta is being chased by a villainous colonel and some pirates. However the colonel gets Sheeta. Because of this Pazu decides to become allies with the pirates. The pirates turn out to not be as villainous as they seemed to be so it's up to Pazu, Sheeta, and the pirates to stop the colonel. #5 Things Ты Probably Didn't Know About Spirited Away! 5. The main charatcer: Chihiro is based off of something или someone. -Hayao Miyazaki, film director of Studio Ghibli, Based Chihiro off of his best friend's daughter who was -at the time- 10 years old. She was also the one who convinced Hayao to continue Directing movies, after Hayao was thinking of retiring after he finished up Princess Mononoke. 4. Even the famous Hayao Miyazaki needed help. Ocean Waves is a romance Аниме film that was made by Studio Ghibli. Although it got really good reviews on Rotten Tomatoes some Studio Ghibli Фаны consider this film to be 1 of Studio Ghibli's weakest films. This review is about if I agree with the Studio Ghibli fans. 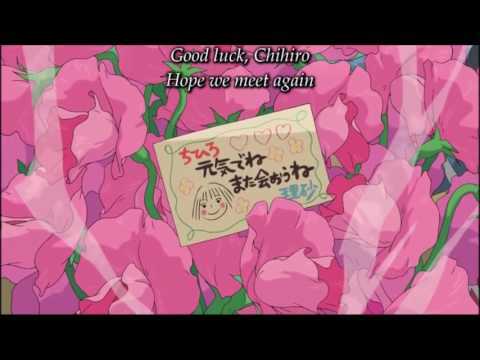 When Marnie Was There is a 2014 Studio Ghibli film. The film is about Anna, a socially uncomfortable young girl. She lives with nice, but suspicious foster parents. Due to some problems she spends some time with her uncle and aunt. While there she becomes best Друзья with Marnie, a mysterious girl. Whisper of the сердце is a Studio Ghibli film. Studio Ghibli has made some good films. Is Whisper of the сердце a good film? Please read the review if Ты want to find out. The film is about Shizuku, a high school girl who loves to read books. She meets a high school guy named Seiji. At first Shizuku dislikes Seiji, but she eventually falls in love. Shizuku and Seiji try to focus both on their relationship and their future jobs. The Tale of the Princess Kaguya is a 2013 Studio Ghibli film. The film was directed by Isao Takahata. The film is based on the story "The Tale of the Bamboo Cutter". The film is focused on a princess who is adopted by a couple who live in the country. The princess loves her life in the country, but the dad thinks that she should have a life of royalty. The princess moves to a mansion where she is treated like royalty, but she misses her pleasant country life. Plus a bunch of shallow guys want to marry her. There are several film studios, but my Избранное is Studio Ghibli. Studio Ghibli is a film studio that's made some of the most beloved Аниме films. They have around 20 films. Their 2 main directors are Hayo Miyazaki and Isao Takahata. Studio Ghibli films are the king of having good plots. 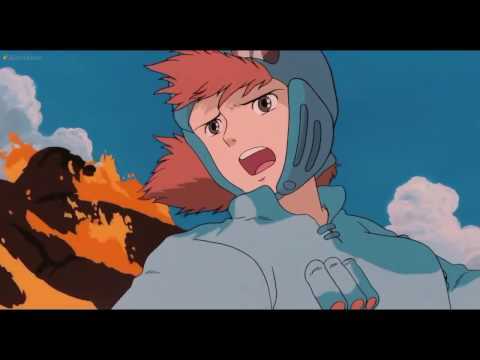 The 3 most impressively written films that I've ever experienced are all Studio Ghibli films. The plots in their films have very emotionally moving and wonderfully done scenes. The characters are often likeable and relatable. Plus the Анимация is awesome and the Музыка is charming. The ship veiled in the shining sea leaves a whistle of the good-bye. Will I meet the wind of summer color if I go down the gentle slope? My love, it's a melody. I sing highly and low. My love, it's a gull. I fly highly and low. Will I meet tender Ты if I call for Ты in the setting sun? The sound of the Пианино somebody plays sounds like sea rumble. Do people coming and going in the late afternoon carry the dream of summer color? Bad news to everyone of the Studio Ghibli fans: Director, Studio Ghibli Co-Founder Isao Takahata Passes Away on 5 April, 2018. 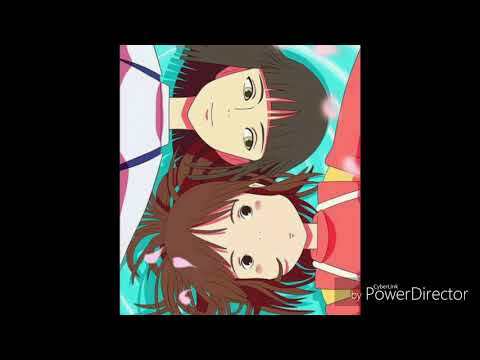 How do Mei, Satsuki and their father make the soot sprites leave? Opinions on issues portrayed in Grave of the Fireflies. Mr. miyazaki's new movie working?